wheels. "Camber?" I said, "What is that? Needless to say, I learned a new word, considering I had my first wheelchair over 40 years ago, I should have known it all along. It's about time, I learned that there is a name for what I once thought was the cool guy's wheelchair. Cool guys wheelchair? 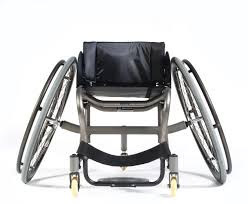 Yes, the cool guys and girls, had wheelchairs that had low rise backs and super slanty wheels like the picture I am using from Sunrise Medical, below. 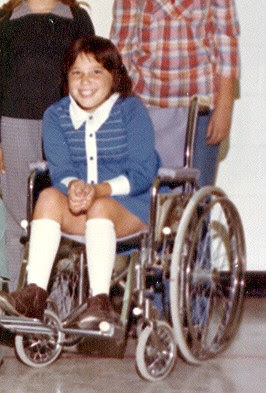 If you have followed WWO, you'll know that I have been using a wheelchair since I was young. See above, my very first one was made from the heaviest clunky metal, coated in shiny silver chrome, with a pretty lilac colour vinyl upholstery. To a wee girl, that was super pretty. Coolness was an unknown word then. I only used it when I went to school and when distance was too much. As my body grew, it was time for a new wheelchair. I was about thirteen years old and no longer was I all about prettiness, but, it was all about being cool. 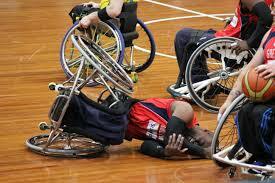 After watching these really muscular guys play wheelchair basketball, what did I covet most? Why a sports wheelchair of course! We had one of those "cool" athletic guys, work at the residence where I lived at the time, as one of our child care workers. I wanted to be just like him. Well the female version, that is. His name was Guy Paquette. He was paralyzed from the waist down, had super frizzy curly hair, long eye lashes, wore fasionable french cut t-shirts (that showed off his biceps!). He only worked at the "home," the year I was in grade seven. Guy would do wheelies (The coolest thing a person can do when you use a wheelchair!) without holding his wheels! Really, he did! He'd balance his rear wheels, raising his front wheels off of the ground and just comfortably, cross his arms across his chest. No problem, no tipping over, just sheer coolness. And of course, that was when, I learned how to do wheelies too! Coolness was all I cared about when I was in grade seven. Mind you, my ego was taken down a huge notch, after another one of my favourite, child care workers, Della, warned me about how I could hurt myself doing them. Shrugging her off, not wanting her to deflate my coolness, I ignored her heartfelt warning. Suddenly, I heard a thud! There I lay, face up, staring at the ceiling. (Okay, not so cool. Della, was right.) At least no blood! In or out of his chair, Guy, would never stop being cool to me. In fact one time we had the honour of having him play wheelchair rugby with our team. Again, all of my "Guy" memories were during my grade seven year. We actually called it"murder ball," and I played sort of competitively. It was a sport for those, like me, who couldn't throw the ball up into a basket ball net. So here he was, the coolest man I knew at the time. His wheels all slanty, or flared out at the bottom. Which I recently learned is called "CAMBER." Contributing to that cool look, was a really low back to their chair. See almost no back and lots of Camber!! back that comes up to about the mid shoulder blade area. Dudes like Guy, had backs as low as maybe with to ten inches high. See the athletes to the left? It makes it possible for them to do fancy twists and turns and provide more manuevarbility for throwing the basket balls up into the basket. Anyhoo, there he was, Guy playing with us! He was showing us why it was called murder ball. He was going so fast, he actually grabbed someone's chair, flinging himself to the floor (I assumed by accident or showing off :o) and then effortlessly, he just flung himself back into his chair. No injuries, no wincing, nothing...just so darn cool. wheelchair was to not have your anti-tipping wheels on the back of your chair. They prevent your chair from flipping backwards. You know, like I did the day I first tried my first wheelies and went thunk! Nope, they didn't have anti-tipping casters then. Now they do, and if they are on, you can never do wheelies. 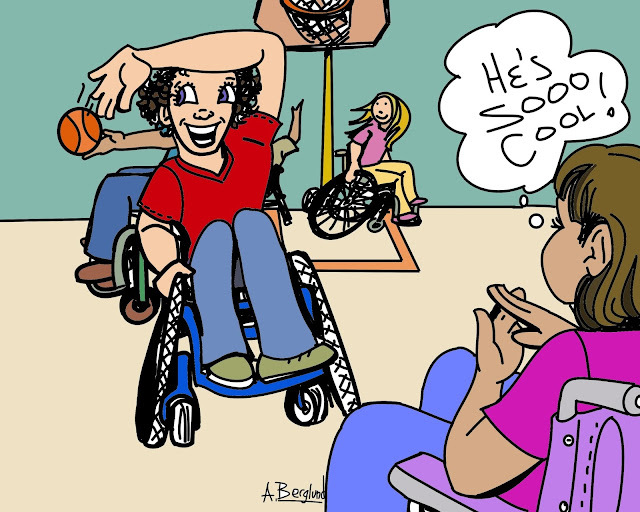 Mind you my genius, handsome nephew, did when he would come over and practice the art form in my old manual wheelchair. He was able to keep the front wheels up off the ground and move around, with the anti-tipping wheels on. That I had never seen before. My husband has always been teased by me, because as long as I have known him, he has those safety wheels on. I call them "sissy" wheels just to tease him. The Clicking Solution! Craig has never been concerned about being cool. I am glad for that, because safety is a good thing. The one "cool" thing he had up until a few weeks ago, was a slight slant to his wheels. Now I know the word for it. And now we know, slanted wheels don't work with Quickie Xtender wheels. In fact, so far, we believe it is most likely the cause of all the clicking issues. Especially, since it happened as soon as the second replacement pair went on. Turns out Quickie Xtender wheels are to be installed WITHOUT camber. What matters most is we know, and Sunrise is going to replace his wheels a third time. No point in being upset that we could have avoided all the stress worrying about what was/is wrong with his new wheels. We know now, the new pair will be installed upright, with NO camber. No camber means, the only cool part to Craig's wheelchair is now gone! Awe, heck, he'll always be cool to me, no matter what. I just like bugging him. Actually, removing the camber means he can fit through door ways better. It really widens your bottom end! Let's hope and pray, that the camber/tilt thingy is the answer. We'll let you know. A Step Closer to Cool? Well, back to my last day of grade seven. It was a bittersweet one. I cried in my class room, as my most favourite teacher ever, Mr. Lorne Taylor, asked me what was wrong. I didn't know. He suggested I had the out of school blues. Not being taught by him anymore, was the bitterest part. The sweet part? Guy promised if I passed grade seven he would buy me the same kind of cool t-shirt that he wore, a v-neck and capped sleeves. Because I always went home to my family every second weekend and holidays, that last day Della, remember her? Whisked me off to the local mall, with the money Guy gave me to buy a shirt just like his. There I was thirteen, entering summer break to spend it with my parents and sister, looking as cool as possible. That summer as I waited in our van at my parent's home. I heard on the radio that Guy Paquette was found dead in his motel room. I burst out sobbing until I had no tears left. That was when I was 13, a whole 36 years ago and the impression he made on me still remains. Camber, What It Is and Why We use It?